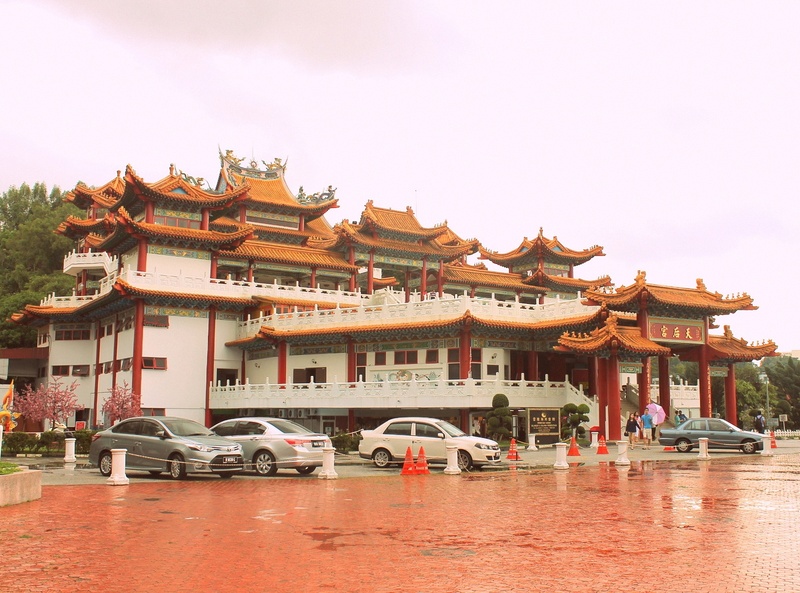 Don't believe them when they say that the Thean Hou Temple is walking distance away from its nearest train station, Tun Sambanthan of the KL Monorail line. For backpackers maybe, that distance might be OK for walking. But if you're traveling on a schedule, take a cab from KL Sentral. That should not cost you more than 10RM (roughly PhP140). 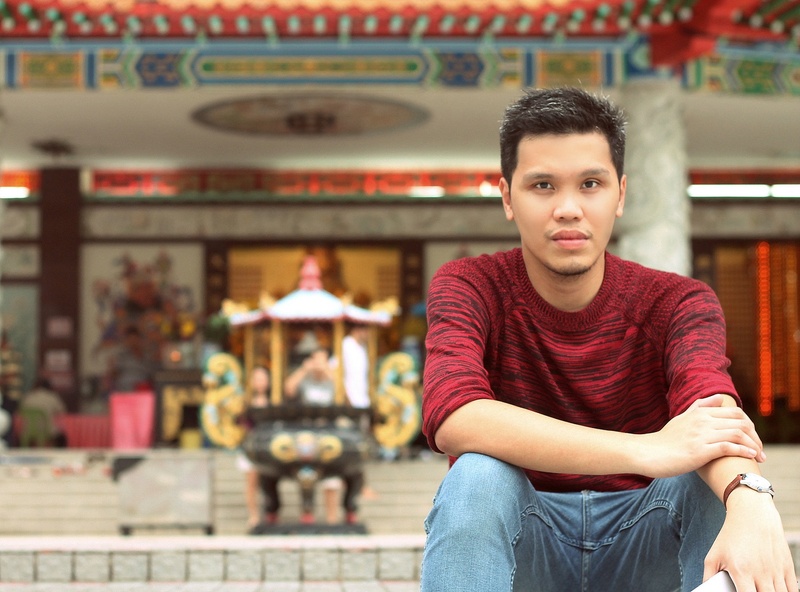 We wasted around 2 hours to look for the temple after relying on a local blog which said that the tourist attraction is just "a few steps" away from the train. Four long blocks is not a short distance. They didn't also tell us that the temple is located on a hill so a challenging hike, ordinary for the sporty, is needed for you to reach it. Along the way, there was a heavy downpour so we need to stop and seek shelter. That really ruined our schedule. Apologies for starting this post not so pleasantly but I just felt the need to emphasize on this information. 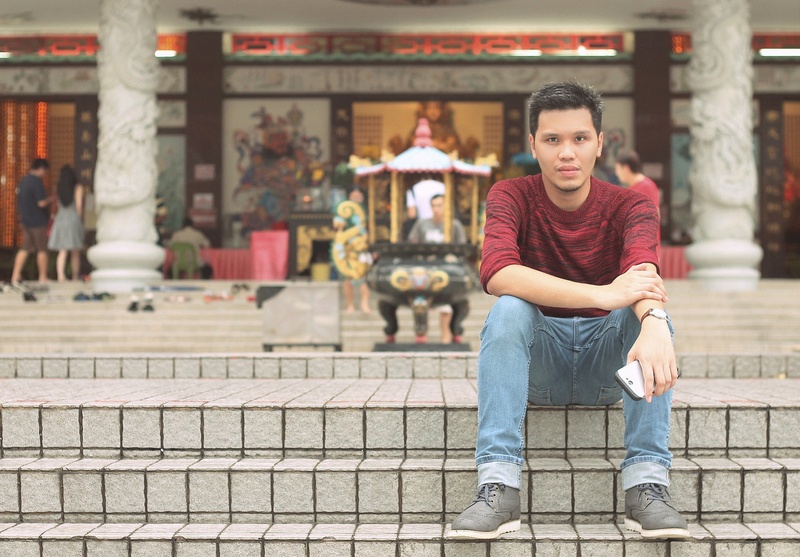 If you're in KL for a short period of time, you'll enjoy the temple if you can reach it in a car or a cab. 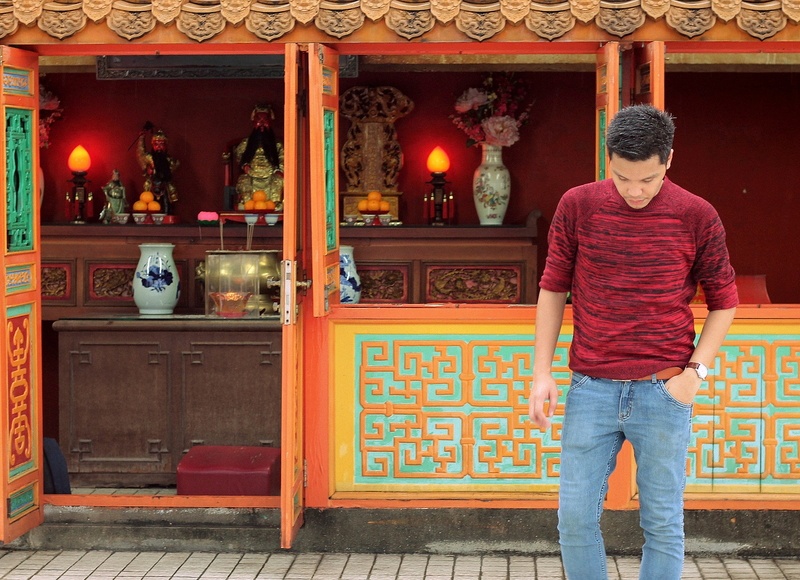 But why is the Thean Hou Temple a must-see attraction? We have our different reasons for visiting a place. 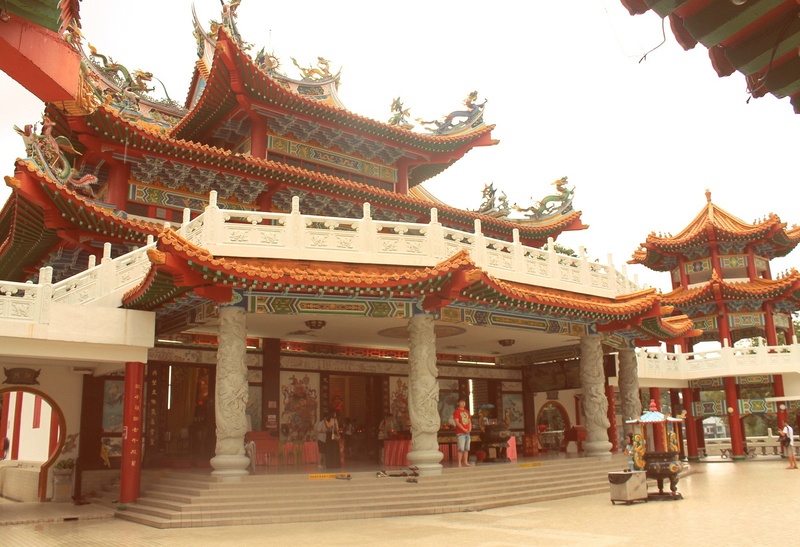 Thean Hou is a landmark, six-tiered temple. 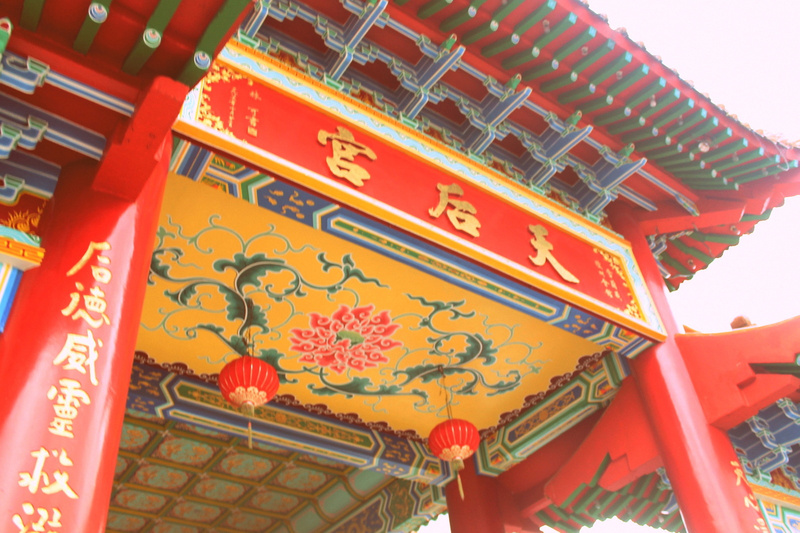 This means it is one of the very few huge Buddhist temples in the world. 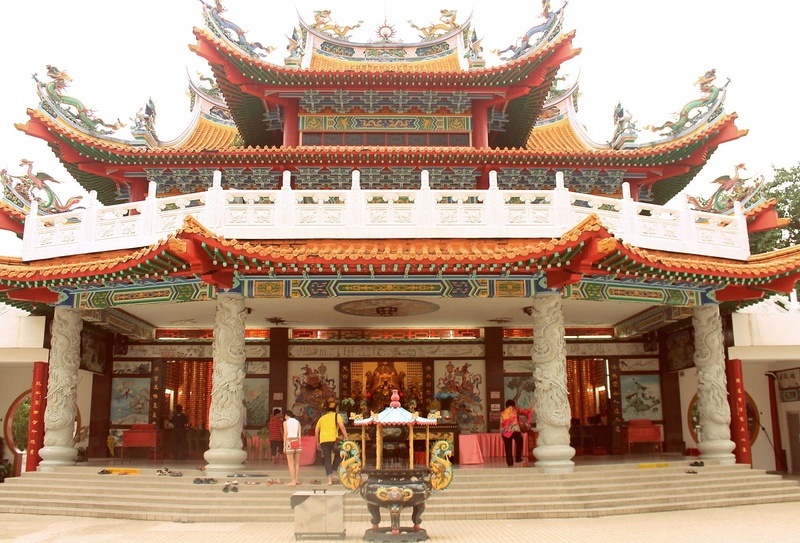 If you're a Buddhist, visiting Thean Hou should be a great expression of your faith. For art lovers and for those who are interested in experiencing and discovering culture, the intricate Buddhist carvings on the temple are breathtaking. For me, the reasons above are secondary. Why was I excited to visit Thean Hou? It boasts the perfect aerial view of downtown Kuala Lumpur. 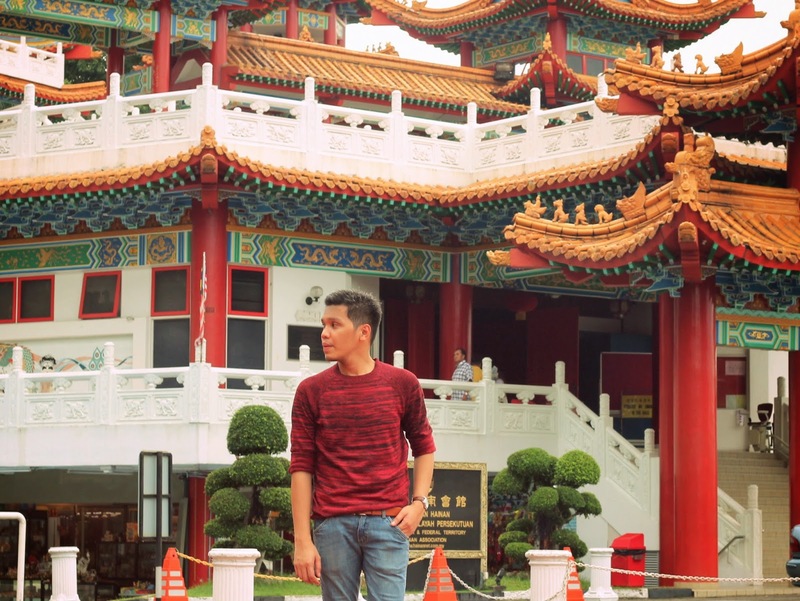 From the Federal Highway to the Petronas Towers, the temple gives you a 180-degree view of KL. I will not tell you if it's best to visit the temple during sunset since it rains almost every 5PM in KL. During sunrise should be perfect. One more thing, the temple is really a quiet and a sacred place. If you are planning to bring your kids or noisy friends, you better warn them. Otherwise, you might be given a not so warm welcome by the temple guards.